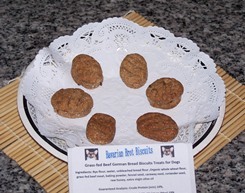 Inspired by German bread, we have come up with German bread biscuits for your dog. 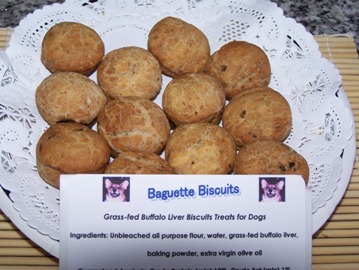 This biscuits are made with Rye flour, unbleached bread flour, unbleached organic whole wheat flour and hint of grass-fed beef steak and herbs; caraway seed, coriander seed, and fennel seed. This is made to order biscuits and 5 oz package contains approx 12-17 biscuits. This is dehydrated beef lung made in USA, previously known as “Beef dogitos” in larger package. 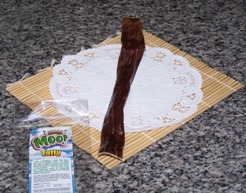 This treat is sold by 4 oz resealable bag. 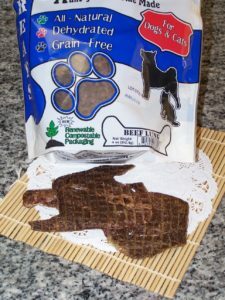 Great as training treats as well.